a group of members of the Order of Bards, Ovates and Druids (OBOD) in and around Calgary Alberta Canada. After a few meetings, lots of coffee, and 'what ifs' we have a seed group, a blog, new friends, and a plan. It doesn't sound like much, but it is AMAZING. If you, like us, are interested in The Order of Bards, Ovates and Druids, and follow a Nature Spirituality, this is the right place. Welcome Druids, Ovates and Bards! 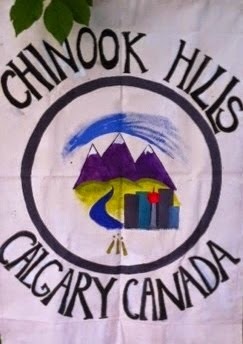 We are a Grove of OBOD, located in Calgary, Alberta Canada, meeting monthly for fun and fellowship and to make plans for our next Celebration. Our group celebrates the Wheel of the Year in beautiful natural locations in and around the city of Calgary.